Within the post-rock-encompassing skies of this four track EP, the listener finds herself confronted with the instrumental quintet Ender, who slaves over the most popular of instruments (guitar, bass and drum) to produce a self-titled audible calling-card. The album is made up of moody, yet powerful post-rock shrouded in a haze of gritty ambient. Imagine an cardboard egg-box branded "post-rock," filled with eleven battery-laid eggs and one odd-looking kiwi. Ender stands out just like that kiwi, with the familiar post-rock form, but without the clinical approach taken by so many others. Like most of their Pacific colleagues, Ender knows how to manipulate the space and ambiance needed for their compositions to flourish and gradually evolve. The combined destructive weight of rhythm guitars and drums in the form of dragging riffs arch the elaborated structure that spans over the whole release. The introspective waves of evolving ambient and stacks of heavy hypnotic hooks are good for forty-two minutes of dark, enticing variations and a few spine-shivering moments, but never seem to deploy their full potential. Near the end of Ender, the band trades in their most heavy weight guitar sound for a piano, and tips the scale in favor of the conformist form. Once the piano finds it's place in the closing composition, Ender brings it home with a less powerful but more subtle and emotional undertone. 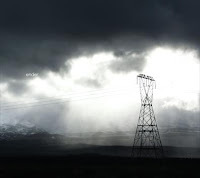 Without the drive - one that reminds the listener of European post-metal bands - of Ender's opening, the whole gives the impression that this is still not the best possible result. Their strength lies as much in esoteric explorations as in latent aggression, but I, for one, believe that the latter one - given some more attention - has a few interesting options to strengthen the whole. rated 5/5 by 5 people? ...hu? What do you mean, sjugge? THIS is awesome.........I love your website, really nice work!